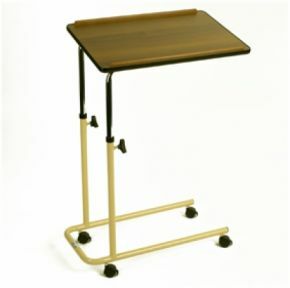 Adjustable Over-Bed Table With Split Legs And Castors. 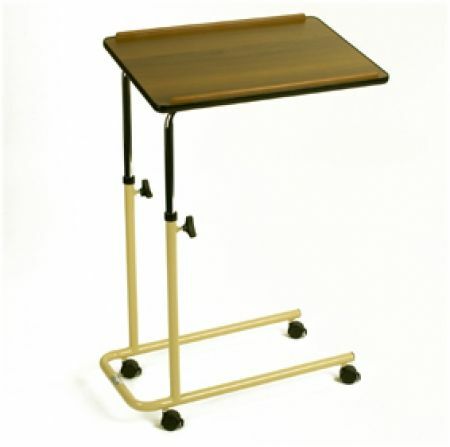 Its robust plastic and chrome plated steel construction is complemented by the easy to clean laminated wooden table top, and with raised lips on the top to prevent items falling off the edge, this over chair table is a useful addition for any home. Good product , I received within 2 days .